An AGMAX three point linkage (TPL) counterweight is an excellent investment for those who perform FEL work, where significant load weight is likely. A counterweight provides increased stability in these situations by offsetting the raised centre of gravity of a raised FEL bucket. 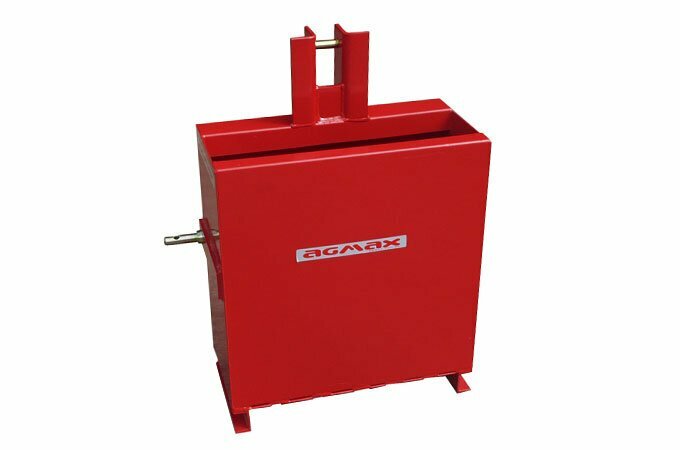 Prior to first use, the AGMAX TPL counterweight should be filled with concrete, gravel or some other weighty material. All FELs are required by law to be tested and clearly labeled with a safe working load (SWL), sometimes known as a rated operating load (ROL). All tractor FELs supplied by SOTA are clearly marked with a SWL and should not be used beyond this SWL. We highly recommend that our customers read SOTA’s front end loader operators manual, for advice on working safely with a FEL.